Do you often suffer from a dull headache or sore teeth? You may grind your teeth at night, which is a condition known as bruxism. It can be difficult to determine whether you have it because it often occurs while you are sleeping; however, it is estimated that as much as 20% of adults live with the issue. There are several factors that can contribute to its cause, such as stress or an underlying sleep disorder. No matter the reason, it is best to see your dentist in Sachse for treatment to avoid causing damage to your teeth. How Can I Stop the Grinding? 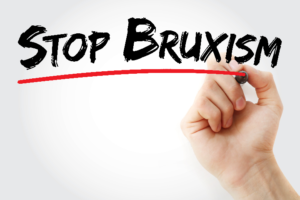 The quickest and most efficient way to stop the complications of bruxism will require a trip to your dentist. After performing an initial consultation, they will likely recommend the use of a nightguard. This is an oral appliance that is similar to an athletic mouthguard; but, instead of protecting the teeth from an impact injury, it provides a protective barrier between the top and bottom teeth. It will stop them from rubbing on one another. By doing so, you not only prevent damage to your teeth, but also reduce pressure off the jaw to stop the condition’s symptoms, like jaw soreness and headaches. Your dentist many also recommend additional treatments, like orthodontics to realign your teeth and bite or muscle relaxers. In addition to care from your dentist, changes to your lifestyle are helpful, such as practicing stress- reducing exercises or anger management. With relaxation methods, it can help to stop the triggers of the grinding. When the exercises are combined with a conscious effort to break the habit, it has been proven effective to stop the grinding. Stop Living the Grinding Today! If grinding and clenching your teeth has led to dental or jaw pain, it is time to see your dentist. With a customized treatment plan, you can improve your quality of life while protecting your smile. Dr. Travis Rottman is committed to improving his patients’ overall well-being though high-quality dental care. In addition to promoting the health of your teeth and gums, he also offers services for specific conditions that can hurt your smile and quality of life, like bruxism. If you grind or clench your teeth, he can help to stop the habit. Contact Sachse Family Dentistry today to schedule your consultation.